The smallest Wireless solution on the market- size of a cell phone! 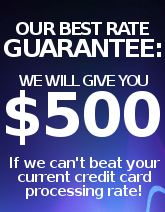 The WAY Systems' Mobile Transaction Terminal (MTT) is a unique wireless credit card terminal. Just 4 inches tall and a little more than 2 ½ inched wide, but has the capabilities of an advanced credit card terminal. 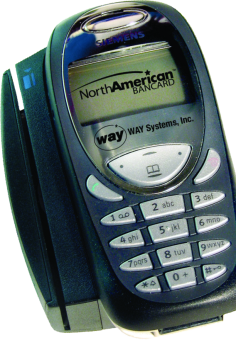 WAY Systems MTT combines a low-cost mobile phone with a Point of Sale terminal. It features a built-in magnetic stripe and a smart card reader to make the WAY Systems MTT a true mobile point of sale solution with the most payment options.